SHM063: Shyft Versus K.H.D. 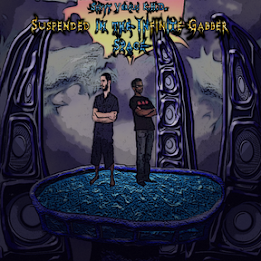 – Suspended in the Infinite Gabber Space – Officially released in 2011, this is a ultra-awesome nu-style gabber album by Shyft and K.H.D.. This release is jam packed full of complex melodies, progressions, and experiments. Swing inspired dark step with gabber? Done. Clown core? Of course. Back to back dub step and speed core? Okay. We’ll stop scaring you. It also has a bonus ‘disk’ holding remastered versions of K.H.D.’s tracks ‘I Want the Truth’ (previously unreleased on Shyfted Minds), ‘What About Me?’, and ‘Sever Their Communications’, the last of which has also been reworked to include a deeper complexity.